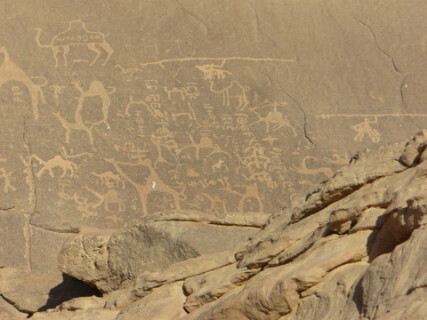 Coming across petroglyphs in remote desert landscape always fills me with awe, and wonder, and excitement. I somehow feel like I’ve just made an enormous discovery, like America or something. The mystery of it all is very captivating. So many questions and so few answers. 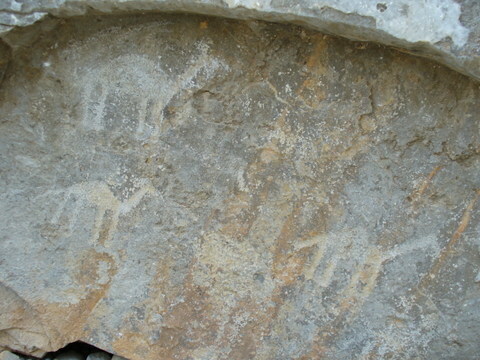 These were all in Musandam, near a very tiny village. 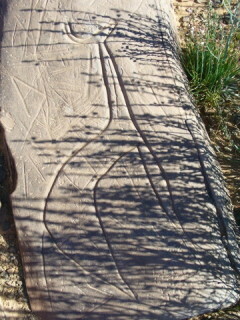 The children seemed very proud of these petroglyphs and had an air of great importance when they led us to them. The most incredible ones I have ever seen were in Algeria on the gorge walls of a dried up wadi deep in the heart of the Tassili n’Adjji. These had rarely been seen by anyone other than the Touareg people. They were life-size and depicted all the animals that we think of when we think of the teeming life of the Rift Valley in Southern Africa….proof then that this area had once been jungle. 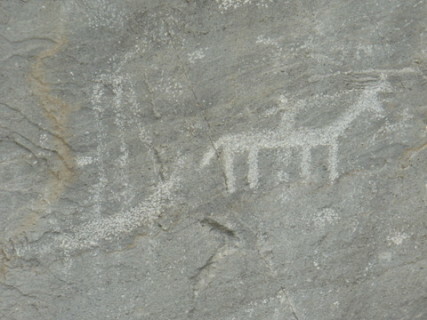 There were huge giraffes and hippos, lions and horned deer-like animals showing humans hunting them. These were all drawn perfectly in terms of the scale, dimensions and anatomy and went on for 1000’s of metres along the gorge. I was absolutely spell bound…so much so that I forgot to take any photos! I sorely regret this today but, there we are. 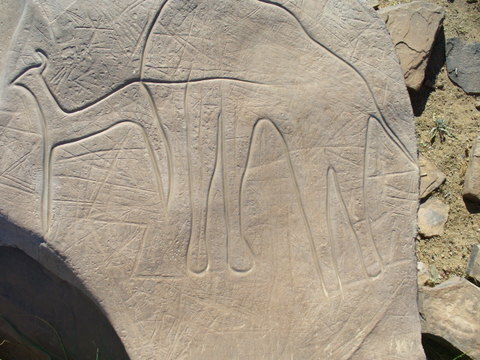 There are a lot of depictions of camels, and often with humans aboard looking like they are at war as one sees in the Jordanian petroglyphs. 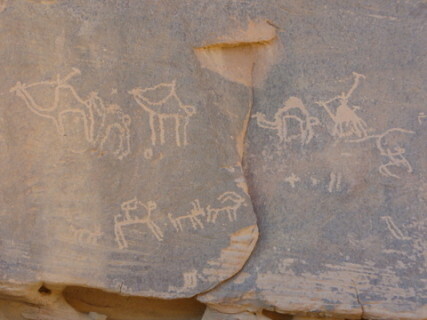 These would seem to be more recent than the Algerian petroglyphs, when the desert landscape was already the reality for the people of this region and, camels as their mainstay which continues today. 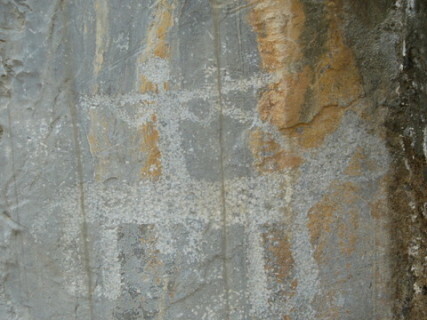 From an artist’s perspective I always marvel at the skill of these primitive artists and wonder about their tools. I wonder about their reasons for depicting the life, what they thought about, what inspired them. Whatever the answers to these musings are, I’ll never really know. What I do know is that I feel very connected to them, artist to artist, human being to human being and hence my sense of awe and wonder at the connectedness of it all, despite the space in between.